To use the Mix-and-Match Smoothie Ingredient List below, pick one or more vegetables from the first two ingredient categories (vegetables and fruit) and mix them with a liquid of your choice (from the third category). 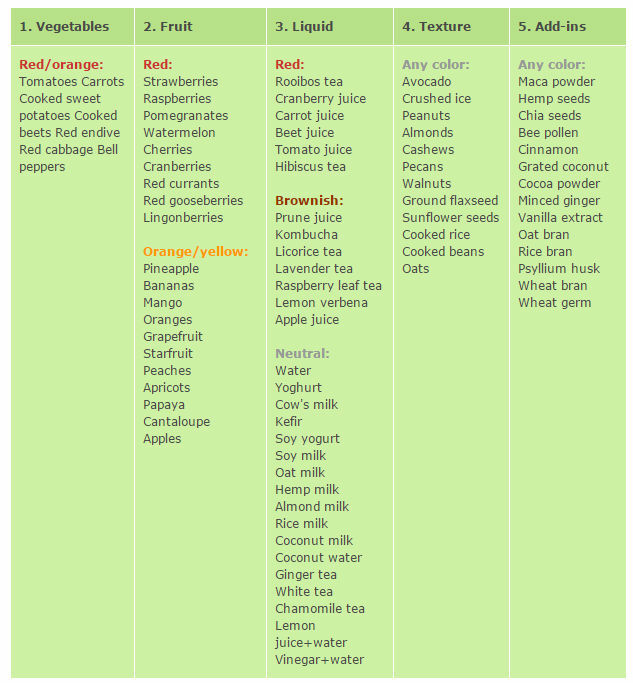 If you like your red smoothies thick, pick a texture-enhancing ingredient from the fourth category in the below Mix-and-Match Ingredient List and add it to the mix. 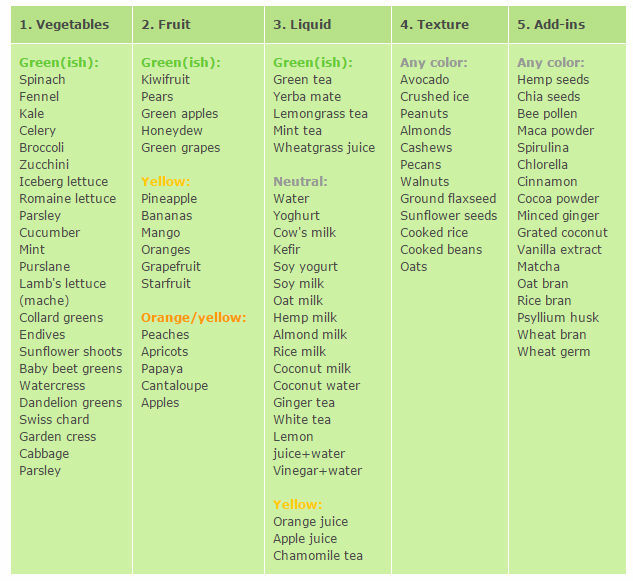 To finish off your super healthy creation, add one of the healthy smoothie add-ins from the last list.